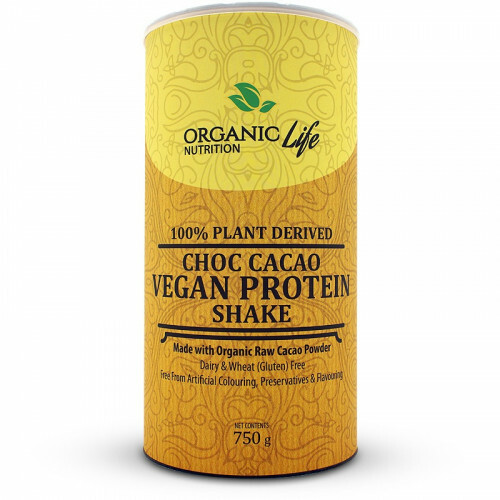 Organic Life Nutrition Vegan Protein Shake has been formulated for vegans and other health conscious persons looking to supplement their diet with additional non-animal derived proteins. It is especially well suited to those prone to food allergies who may be sensitive to dairy, egg and wheat (gluten). 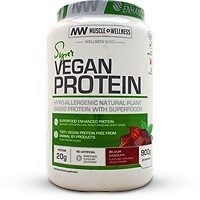 Provides a versatile protein source with a complete amino acid profile and being free from gluten, lactose and cholesterol it is a great option for those wishing to fortify their diets and support their active, healthy lifestyles with additional high quality, 100% plant derived protein. 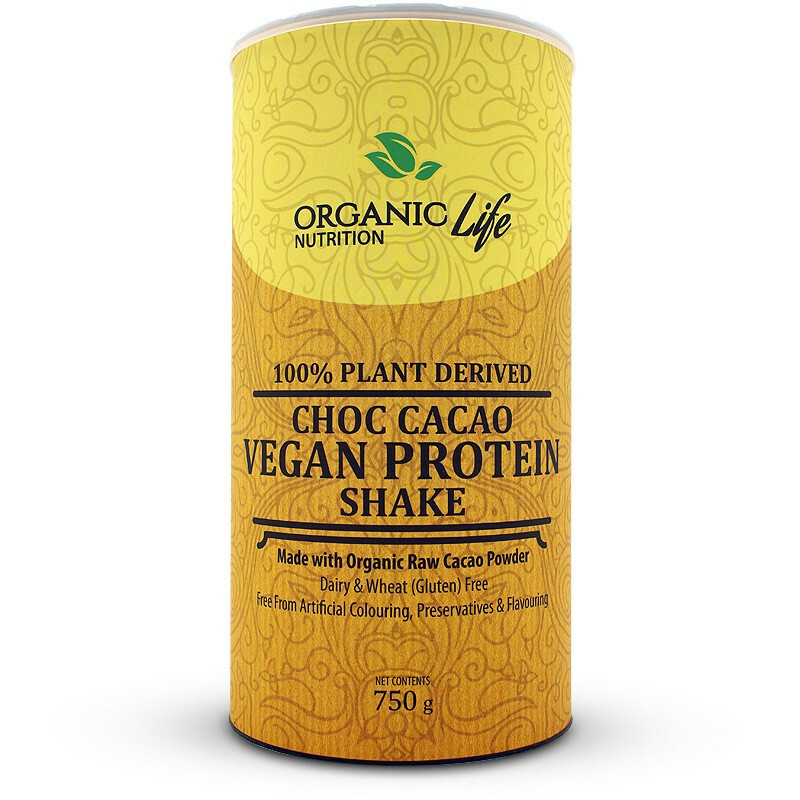 100% Vegan Protein Blend (Pea Protein Isolate, Rice Protein Isolate, Soy Protein Isolate), Raw Organic Cacao Powder, Organic Coconut Sugar, Flavouring, Flax Seed Powder, Carrageenan, Guar Gum, Xantham Gum, Stevia. 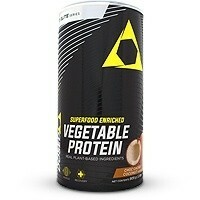 This product is made in a facility that uses tree nuts, peanuts, soya, wheat (gluten), eggs and milk (dairy). • Add 30 g (approx. 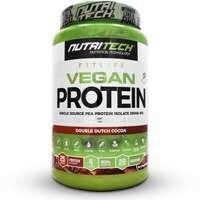 3 level scoops) to 200-250 ml of cold almond milk or other suitable beverage of your choice. 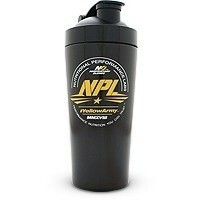 • Blend well using a shaker or electric blender. • Consume 1-2 servings per day, or use as directed by your nutritional advisor to assist in meeting your daily protein intake requirements.